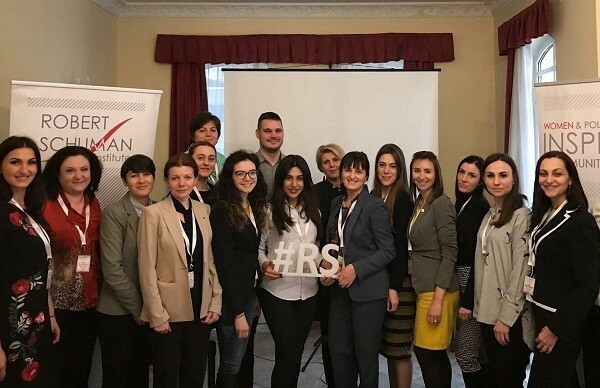 On March 20-23, the first phase of the program Women and Political Impact 2018 was held in Budapest. Fourteen participants represented five countries: Armenia, Moldova, Ukraine, Georgia and Belarus. Ani Mejlumyan and Anna Hakobyan, members of the Republican Party of Armenia (RPA), participated in the program from Armenia. Participants had the opportunity to listen to various interesting topics, particularly the role of women in politics, leadership strategies, public relations, and communication skills. After each topic, the participants performed practical work and held discussions. “The program was effective for the participants as many current and important topics related to women’s role in politics and leadership were focused on. These topics were interconnected and complemented by one another,” - said program participant Ani Mejlumyan.